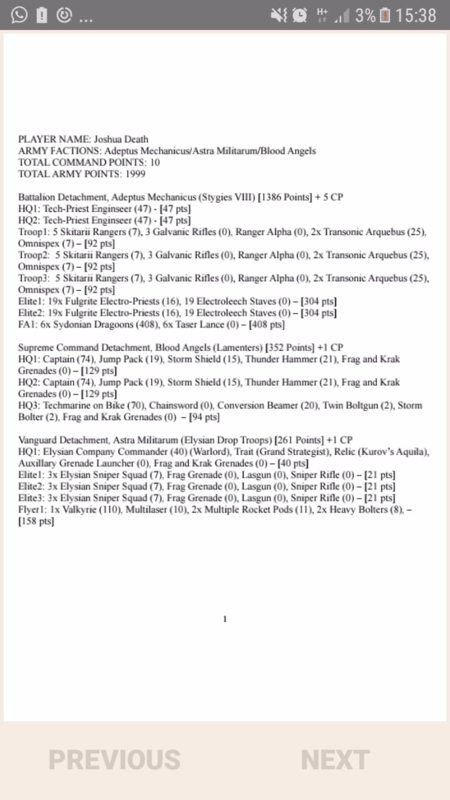 London GT: How was it, how'd we do? 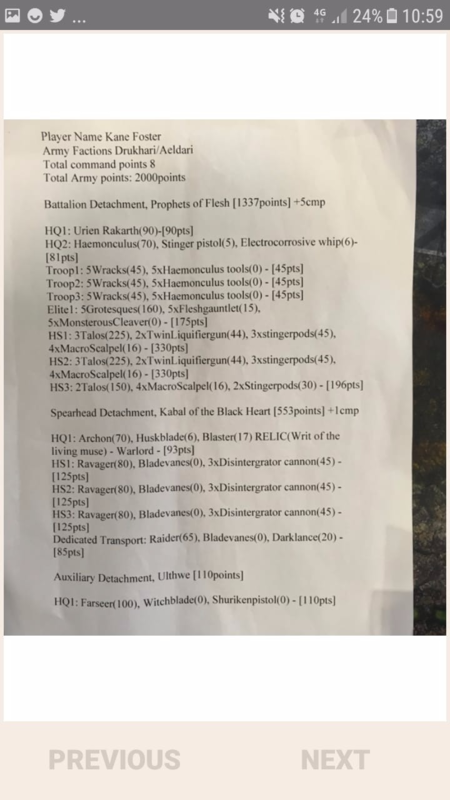 Did anyone here go to the London GT? I've heard as a tournament it was all but a disaster. Is that true? 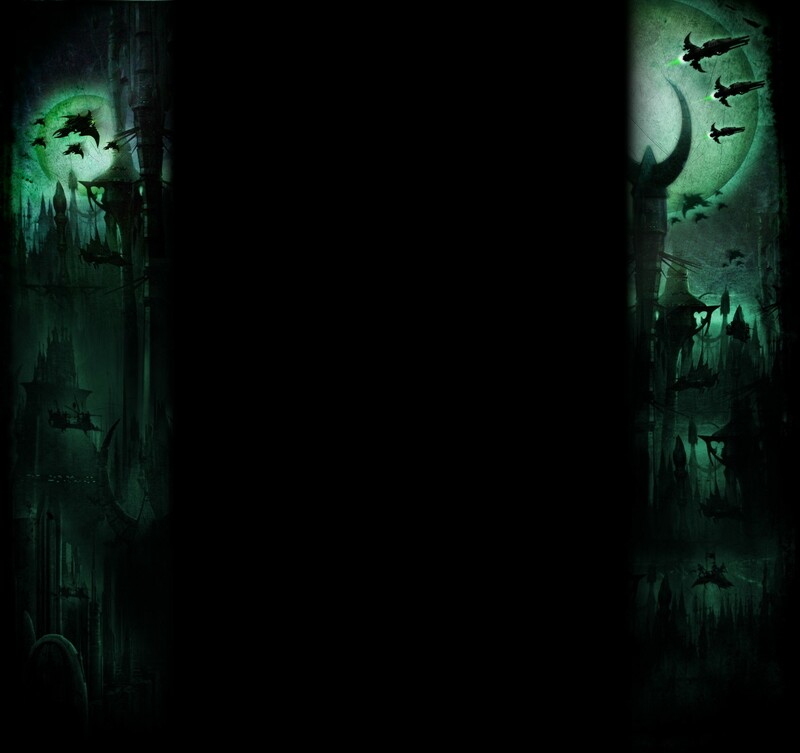 How did Dark Eldar fare in their first big event? I went, although as this was literally my first game with the 8e codex, my hopes were not high for actually doing well. Only managed 2 wins from 5 but had a good time and met some nice people. 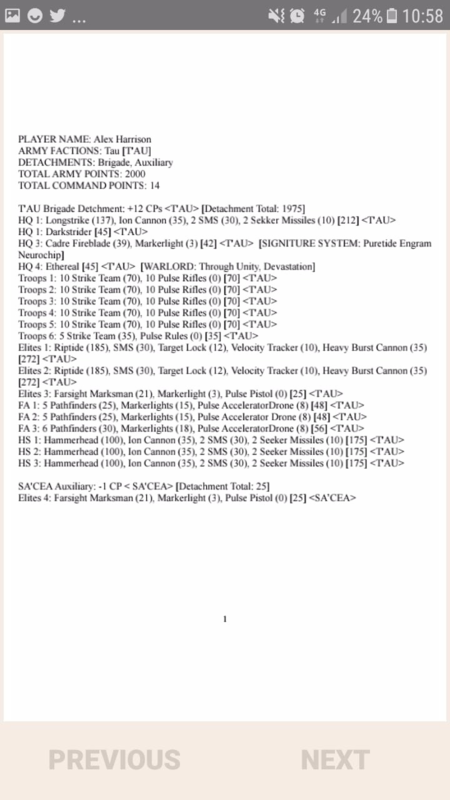 Saw plenty of other DE armies around the tables but not had a chance to look through the rankings yet to see how we did overall. 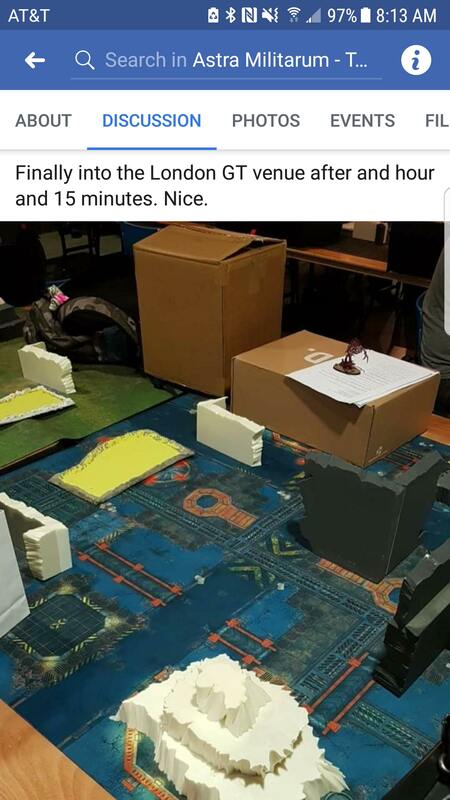 On the downside, as I'm sure many of you will have seen, the terrain on the tables was shockingly basic (lumps of unpainted foam essentially) and the whole event was massively rushed due to severely underestimating the amount of time needed to check the bags of 1000+ gamers on the way into the venue. The venue itself was also really crowded with long rows of tables and no gaps to move between them. Only one place to get food or drink in the venue of course meant massive queues during breaks and the time announcements were sporadic at best so nobody was quite sure when the games were starting or ending. Not sure I'd go again in the current format. The stadium venue is very prestigious and is in a convenient location but it's just not practical and the organisers need to put a LOT more effort into the logistics. 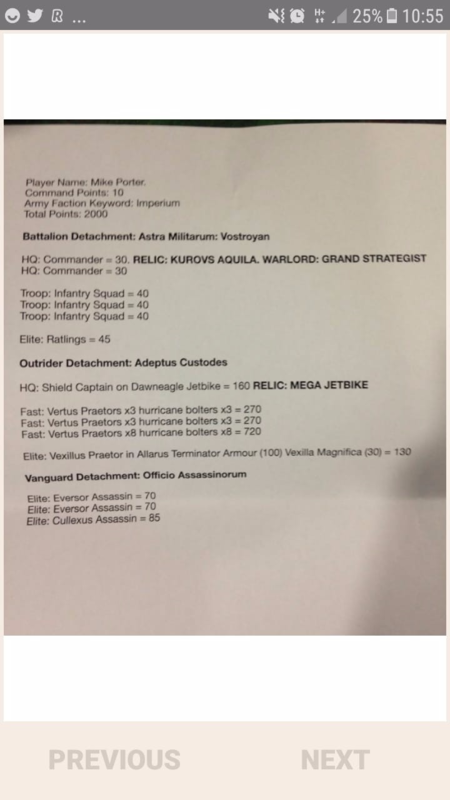 Im told the top armies were Guard+Custodes with BA (as normal), Ork, and CWE with DE. Given the terrain situation at this tournament, I have a hard time considering any of the results relevant. WTF is that crap? For a major tournament that is disgraceful. 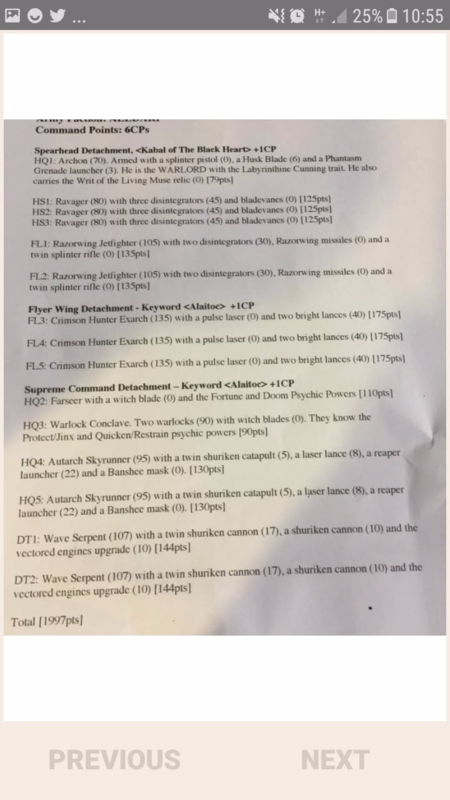 No realy cover, crappy foam that most likely blows over, sure some LoS, but players are taking IG and other units to ignore LoS so you want a mix of both and also to have some -2 to charge (against things like Grots, worst for us but its part of the game and putting a key unit in it will make us shoot them and charge something else). That is the worst terrain ive seen from any event, this seriously looks like new players that are poor made this, and the set up on the tables are bad too, Hills in back only, no LoS blocking from DS units, nothing to make any mental thought on placement. For me, it's not the quality of the terrain, it's the fact that every table has the same pieces in the same places. There's no thought put into varying the tables to help make the games tactically or visually different or interesting. 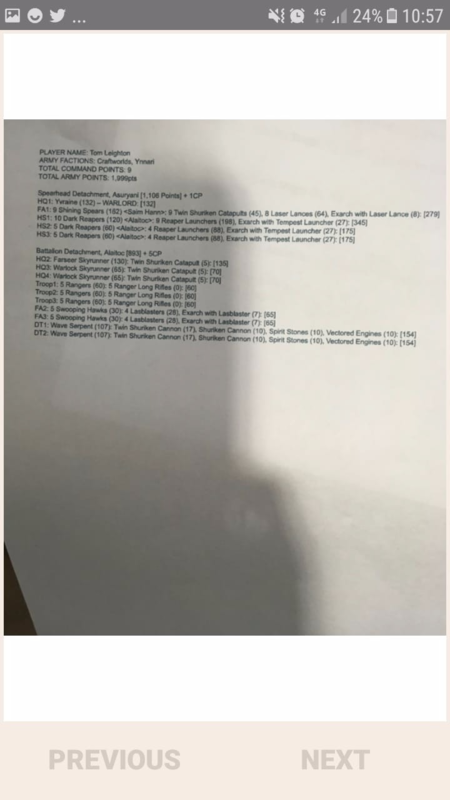 100% agree, it just took me off b.c GW gives out free terrain to all these places time to time, my local have 100's of nice GW terrain b.c we just been getting them for the past 10yrs. Yeah many of them have cracks or broken parts, but its still sad that the organizers did this. I saw it was all the same too and i 100% agree, thats part of why i said there is nothing to make any mental thought on placement. It truly is a disgrace and embarrassment, considering how much money they collected and how they vaunted themselves as the "greatest and finest tournament in Europe". I am quite sure it's the classic case of organizers vastly underestimating everything, beginning from the costs of the venue to every single timeline leading up to the tournament. Renting that sort of a stadium must have cost quite a fortune and eaten the lion's share of the tickets, which in turn leaves little for the terrain itself, arguably the most important part of a 40k tournament of any scope. I wouldn't be too surprised that this event was the first time most of the team organized an event of such size, doing small scale 20-30 man tournaments at best beforehand. Here's hoping they learn from these mistakes, and every tournament organizer learns from theirs as well - this is a shining example of how not to do it. Glad to see those Europeans finally put us Americans in our place. They really showed us how to run a GT! The issue was that despite having been planning for this event since October, they waited until the weekend before the tournament to start building terrain. In the end, they just slapped some styrofoam together, half-sprayed it, and called it a day. 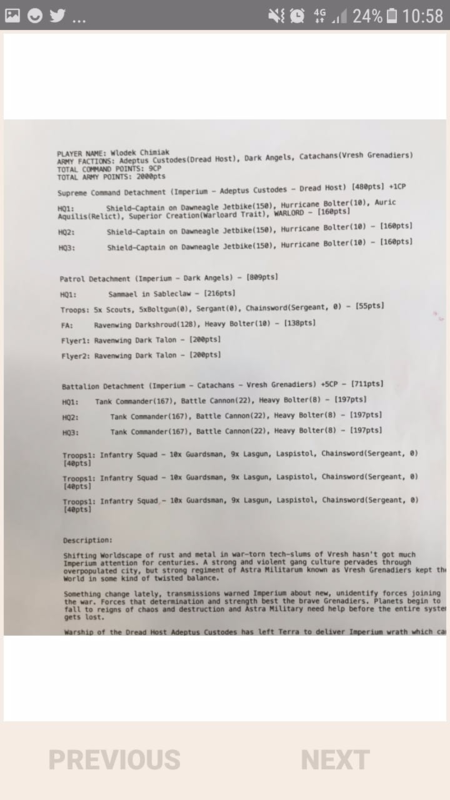 They had something like 23K quid from ticket prices, that should have covered them plenty, or they could have reached out to GW (who often will provide free terrain for large events, especially one on the same little island). There were other failures as well, the ticketing and screening was handled inadequately, so the event started 90 minutes late, the rounds mostly didn't go beyond turn 2 due to late starts and long equivocations by judges, no one was allowed to bring food in but there was only one vendor given an hour to somehow serve 400 people (they ran out of stuff half way through), etc. etc. It was a failure on all levels. I just feel bad for all the folks who flew in from other countries to attend. 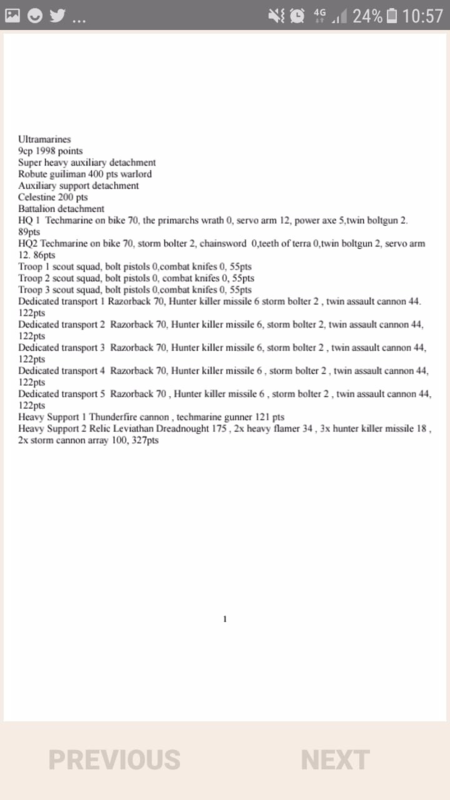 The first list is basically Eldar with a Black Heart detachment. The second list is more interesting with 8(!) Talos. It would be interesting to see how/what they did in practice and what they faced. GW gives terrain out for free! Every store gets 4-6 a year for free..... The people that run these normally have stores. So its not like they dont have terrain. It looks like to me they wanted the terrain to be 100% equal on all tables and both sides. Which is a terrible idea. Oh yeah, this is something that completely baffles me especially since GW were streaming some of the games from the tournament - why not just ask them for terrain? This isn't some tournament in Australia, it's right there in London a few hours drive away from Nottingham. Just toss a few pallets of plastic crack and take it there so that the organizers can sniff some plastic glue the few days before the tournament while assembling the terrain. GW apparently did lend some terrain to the GT organisers. There are photos of it sitting in crates, unused. I've heard that Europe uses a lot less terrain than the US. I have nothing concrete to support that one way or the other. Regardless of the aesthetics of the terrain, is that amount typical of European tournaments? 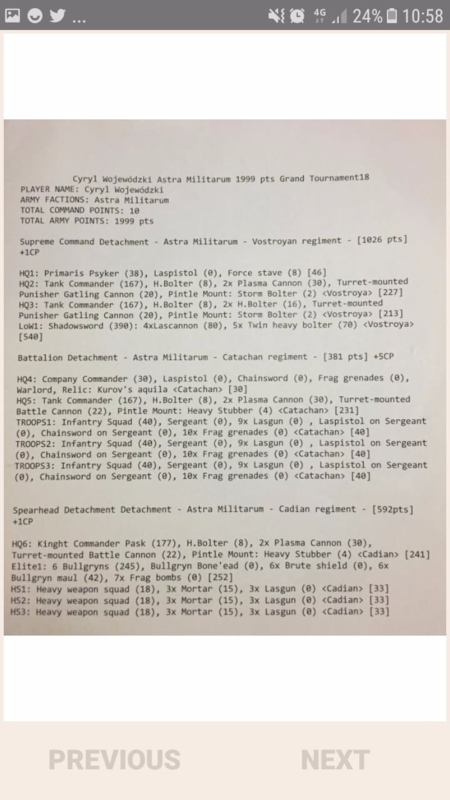 So there is a theory in the tournament scene that all tables should be identical to remove table imbalances from the game thus allowing a more accurate measure of skill and army construction. Personally I think that's stupid. IMO part of what makes a good GT player is the ability to deal with the fact that you're going to play on tables that are not made for your army. If terrain is standardized then people will just write lists with the tables in mind, which they already do for events like NOVA with the infamous center Ls. Look at other competitive games like Overwatch of Call of Duty, lots of maps that, while balanced, all favor completely different team comps. And they don't look like they're made out of Styrofoam either. Yeah 100% agree, fixing balance between the players is taking away another tactic of skill. From a martial arts point of view, thats like when we talk about MMA fighters in a boxing ring, it doesnt matter b.c 1 player isnt using all of their skills. I know a few people that won tournaments b.c of better/smarter deployments. From a TO i can see why they think this is needed, it makes games a few minutes faster, no arguing over terrain at all (since it always the same), etc.. but from a player standpoint is sad. As someone that has ran many tournaments, you dont make rules to make your job better, you use better tools for that, otherwise players wont like your event. 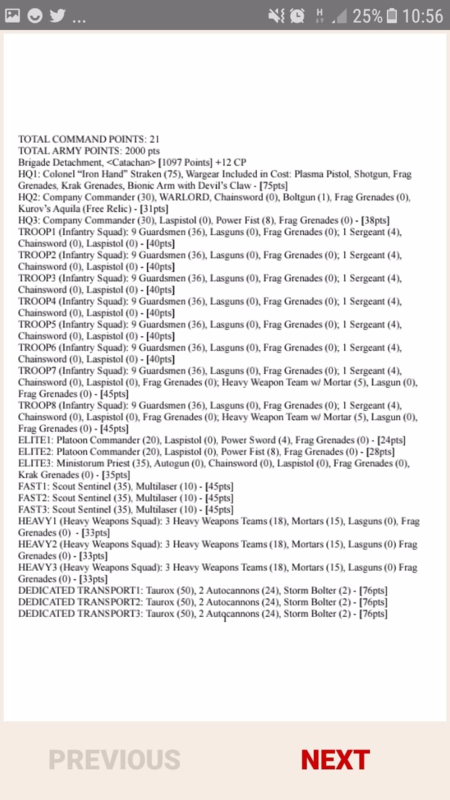 That theory assumes they have the perfectly balanced table for all army builds which is, frankly, delusional. By standardizing tables, all you do is guarantee the armies that are most advantaged by the terrain get a weekend of advantage and vice versa for the least advantaged. You're not removing table imbalances, you're just picking an imbalance and standardizing it. It's not even a theory, that implies they've tested it. It's a hypothesis, and a bad one, since it doesn't even pass the logic test, much less play testing. Going by that theory, 40k is about list building alone, which is an incredibly flawed way of thinking. But I can certainly see why purely mathammer fanatics would find such a theory appealing as there is no real rubber meets the road moment to their lists. It stays in the realm of theory and the safety of a spreadsheet and forum, with no real way to be contested. Great fun for armchair generals, but virtually useless for everyone else and a terrible thing to try and base the entire game on alone. Standartized tables is complete nonsense and quite frankly I think it's just a terrible excuse for bad preparation. You can make symmetric terrain out of GW plastic as well. Should you though? Absolutely not. Half the fun of the game is in adapting your tactics on the fly, that's where the fun in the game lies for me. But I think most will agree to this as Aeldari are all about that slippery adaptation versus pure mathematics. As for the terrain being somehow a American vs European thing, that's just memes. It all depends on how much terrain does the TO have. Our store also has an active Infinity scene, which means our tables can be filled to brim with LoS blocking terrain if we really want to. A healthy balance is always key, some LoS blocks, some ruins, slight asymmetry so that picking deployment is an actual choice. Subject: Re: London GT: How was it, how'd we do?